JOHN was a planter and, as was his father, President of the Island of St. Christopher's. Probably between the years 1809 - 1814. In his father's Will he was left slaves, horses, stock, utensils and effects on the Plantation in St Christophers. He did not marry. 1769 Jan 15 John, son of John Julius, Esquire and Mary, baptised on the Estate of Daniel Matthew, Esquire, in the Parish of St Mary, Cayon, born 20 December 1768. Ref: Jill Christensen from the SOG London 2011 and A Fysh 1984. EXTRACTS FROM THE HISTORY OF ANTIGUA: written by Vere Langford Oliver and published by Messrs, Mitchell & Holmes 1894. 1809 September Vol 1. Pg 147: John Julius. President of St. Kitts writes that Pres. Tyson died on 7th September and that he has taken over the government. 1814 January 20 Vol 1. Pg 149: John Julius writes to say that the government has devolved on him. 1814 May 13 Julius says Rowland Burton, Chief Justice of Antigua died on April 28 and that he was appointed the Senior Assistant Justice, James Athill as his successor. 1815. The Hon.Henry Rawlins takes chief Command during the absence of Sir James Little and President Julius. Vol. 1. Page 150. John Julius acted as governor at Antigua in 1810. 1811, 1814. Vol. II. page 45. 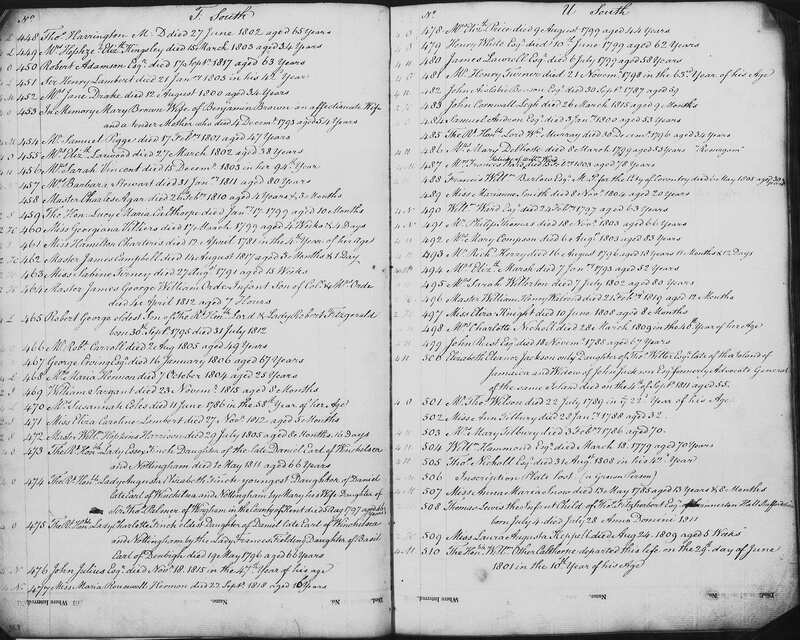 [In the records of the Halliday Family] John Julius was appointed a trustee of the marriage settlement of Robert Wilson of St. Kitts and Margaret Halliday of Antigua, the date of the deed in June 7, 1771. These particulars were collected by Villiers Julius in 1899. Towards the end of 1812 a female slave named Eliza died in suspicious circumstances. The attorney for the estate was the Rev William Davis, and it was soon being voiced around the island that is Eliza had succumbed to a flogging he had ordered or even administered. One of his principal accusers, was John Julius President of the Council, and the man Davis had replaced as the estates attorney. In March 1813, mostly as a result of Julius's accusations, it was decided the Davis with three of his sons and a son-in-law should stand trial for murder. Even though all were acquitted, the case, involving an Anglican minister charged with the murder of a female slave, cause a sensation in London. John Julius the Younger, was an Executor and Truster for the Estate of John Calfe, of St Kitts, whose Will was dated 12 Nov 1807. Proved PCC 13 Apr 1805. Julius Esq late president of the Island of St Christophers. Nov 18 John Julius Esq late President of the Island of St Christophers. John Julius of the Isle of St Christopher now residing in Holles St., Cavendish Square Esq. To my sister Ann Mary Wharton Estridge L500 and as annuity of L200 and if she survives our brother L100 a year more and if she survives my aunt Jane Julius. widow of Uncle William Julius I give her a further annuity of L100 from the death of our aunt. To my executors L100 a year during the minority of my nephew John Estridge son of my said sister and L500 at 21 years of age. To my niece Mary Estridge L500 at 21 years of age. To my nephew Aretas Estridge L500 at 21 years of age. To my nephew the Rev. John Julius Kerie L2000. To my secretary Patrick Kelly L1000. To my friend Elizabeth Fauntleroy widow L400 and her dau L100. Witness James Kirby 6 Berners St. Jos Golightly, Henry Pocock 5 Ely Place. Will on this file, PRO11/1574.